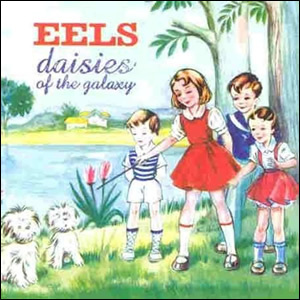 Following the release of such a heavy and emotional album as Electroshock Blues, E very wisely went in the opposite direction on Eels’ next album, 2000’s Daisies of the Galaxy. This album was very aptly named; it is light, breezy, and altogether lovely. Which isn’t to say that Daisies is all sunshine. Although its title may be a tad crude, “It’s A Motherf***er” (also amusingly censored as “It’s A Monster Trucker”) is a plaintive, heartbreaking piano tune about a lost loved one, and the difficulty of going about a normal life without this beloved person. In E’s case, it would seem that the “souljacker” would be the grief of his personal losses; however, as the song connotes, he clearly intends to resist the theft of his soul. “Souljacker Part I”, “Bus Stop Boxer” and “Dog Faced Boy” are all abrasive, hard rocking tunes in which E howls and growls more than he actually sings. Oddly enough, this wolfish vocal quality suits E, whose bark is far worse than his bite; although in real life he appears rather menacing, he is clearly, as his softer, more personal music demonstrates, a highly sensitive and self-aware individual. Souljacker also retains some of the airy loveliness of Daisies. “Fresh Feeling” is, in all likeliness, one of the most incredible songs E has ever written. “Words can’t be that strong/My heart is reeling/This is that fresh feeling,” E sings elatedly of an invigorating love affair. The instrumental element is just as beautiful as the lyrics; the song is saturated with strings, and sounds like a miniature concert symphony of love. In addition to all of this, the Eels had another studio album out. 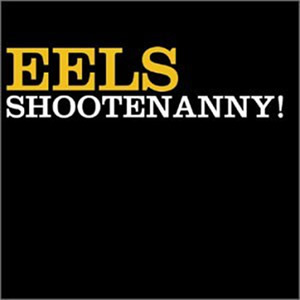 E had gone back to the studio late 2002, in hopes of recording a new album; by spring 2003, Shootenanny had burst onto the scene. Shootenanny bears a strong kinship to its predecessors, Souljacker and Daisies. “Numbered Days”, “Fashion Awards,” and “All In A Day’s Work” are highly reminiscent of “Daisies of the Galaxy” in that they are mostly gentle, upbeat, and uncomplicated musically. 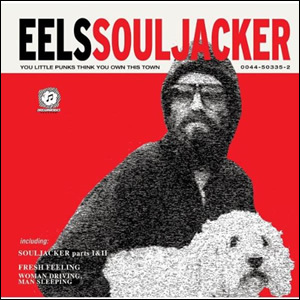 “The Good Old Days” and “Somebody Loves You” echo the joyful love song element present in “Souljacker”. Downbeat tunes like “Dirty Girl” and “Agony” are a mixture of “Electroshock Blues” and “Souljacker”: while “Agony” is punctuated yet again by E’s growling and howling, the lyrics have an element of grief and uncertainty, which had been introduced in “Electroshock Blues.” Although Shootenanny was a mixture of albums that had come before, E was about to pull out all the stops and come out with something completely different altogether: something colossal, unexpected, and glorious. Leah Della Croce is a freelance journalist who has written for Examiner.com and the Alvernia University Magazine.